Leading Manufacturer of distillery agitators from Pune. We are the Manufacturer of mixers, & brewery & Distillery Agitators. We also provide Custom brewery & distillery agitators. Top entry or side entry agitators are very important in any distillery/ brewery. Applications like slurry holding, fermentation, liquification, Neutralization, mash holding etc are very important. 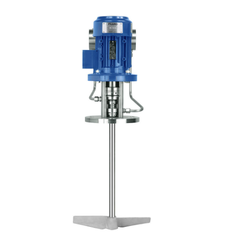 Agitators / mixers are to be designed in such a way to carry out these applications in controlled process conditions to achieve the desired result. Looking for Distillery Agitators ?